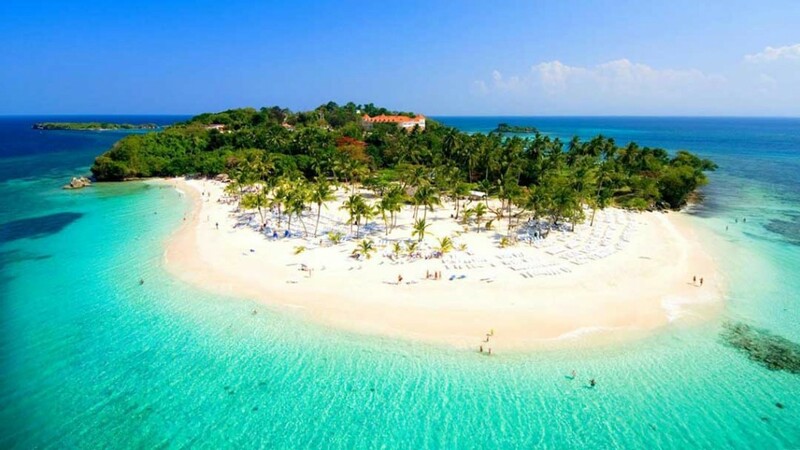 This short trip is designed specifically for nature lovers who want to enjoy the diversity of animals and birds in the Dominican Republic, close to the action but away from the crush of civilization. Travel back in time and spend two nights in the Nationalpark “Los Haitises”, where Indians were already living in the different caves more than 4,000 years ago. In the morning you will be picked up at your selected location in Santo Domingo. The transfer takes you on the midst of nature of the National Park Los Haitises. Your accommodation for the next two nights is the stunningly beautiful and evironmentally friendly Paraiso Caño Hondo hotel, located in the National Park Los Haitises and totally isolated from civilization. Upon arrival yu can explore your surroundings with a walk through the lush vegetation, or enjoy a bath in the natural pools surrounding the hotel which are fed by the crystal-clear river “Rio Jivales”. 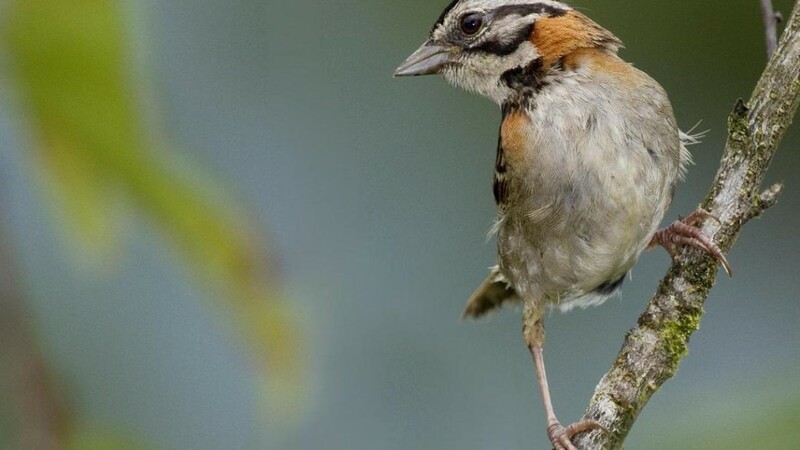 At 5:30 in the morning, before sunrise, you will go on a 3 hour tour to see the “El Gavilán de La Hispaniola”, an endemic endangered bird of the Dominican Republic. During the tour you can enjoy the smell of nature in the morning and watch the sun rise above the trees while looking for El Gavilán and other birds calling the National Park Los Haitises their home. After the tour you head back to the hotel to enjoy a delicious Dominican breakfast. Later in the day you will go on a 3 to 4 hour hike through the National Park. During the tour you will visit Caño Salado, explore different spects of the nature in this area and get stunning photo opportunities. After breakfast, you will grab your luggage and go on a boat excursion through the Mangle River towards the enormous lagoon “Bay of San Lorenzo”. 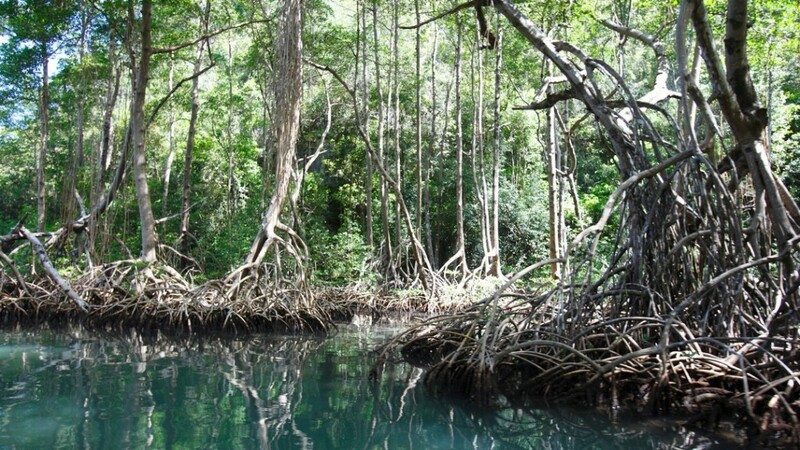 This lagoon is simply breathtaking and unique in its natural splendor. The boat moves slowly through the shallow water and you can observe how the rock island was formed ove the centuries, providing a place where countless varieties of birds can be seen. In fact, there are more than 120 different documented species of birds, one of which is the “Cigua Palmera” (Palm chat), the Dominican Republic’s National Bird. 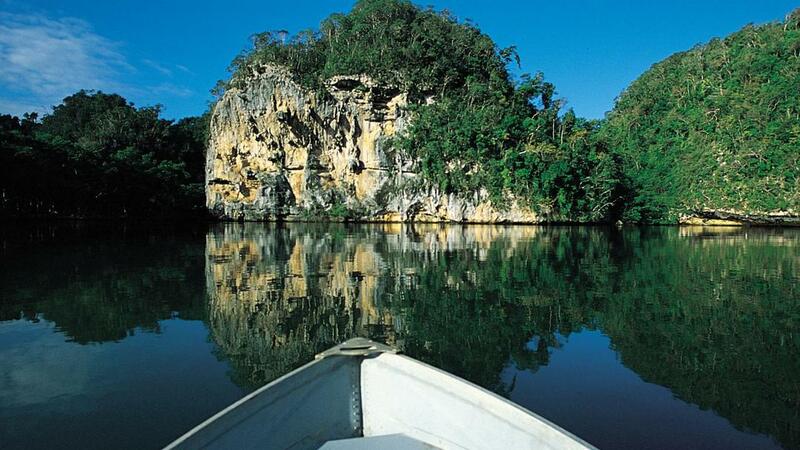 This fantatstic primitive landscape was first populated by the Ciboney tribes and later by the Tainos. Their existence is documented in numerous cave paintings of whales, fish, insects and a shaman (Behique). With a little luck you may also get to see a rare West Indies manatee in the lagoon. 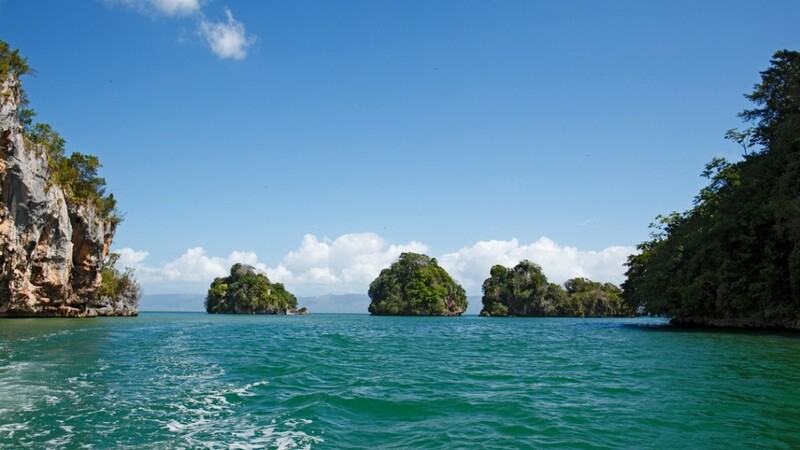 From here, the boat will take you across the Samaná bay to Cayo Levantado where you will enjoy a delicious Dominican lunch and have time to relax on the pristine beach of Cayo Levantado, also called Bacardi Island. In the afternoon, the captain will take you directly to the port of the Bannister Hotel. Today you will go either on a boat trip to observe the giants of the ocean or on a ziplining adventure. 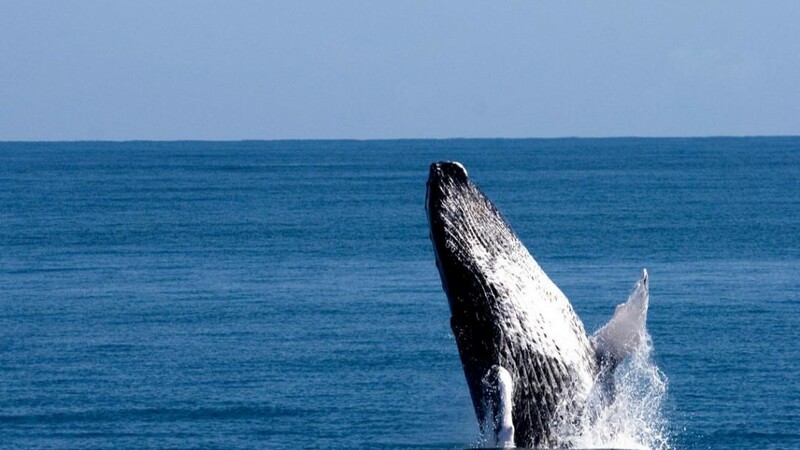 The mating season for humpback whales is from the beginning of January until mid-March. These massive animals splash in the warm waters of the Samaná bay and are truly a wonder to see by boat. If you are staying off the whale season or on request, you will go on a ziplining adventure in El Valle where you can fly high over the vegetation of the Samaná peninsula. In the afternoon, a private chauffeur will pick you up from your selected excursion and bring you back to Santo Domingo.